Hi everyone and welcome! It's my turn to host the latest challenge over at Frilly and Funkie and I've called it "Something Old"; I'm sure, like me, there will be lots of you who love all things vintage and enjoy nothing more than discovering old and unwanted treasure at thrift shops and junk markets. The challenge this time is to use something old either as the basis of your project or as an addition to your vintage or shabby chic creation. 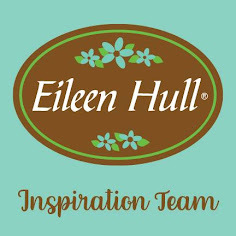 You know you have your family well 'trained' in your creative ways when they become experts at spotting old 'treasures' in need of a makeover or perfect for adding to projects. A little while back my husband spotted a pile of metal objects sat rusting in the rain out in my Father in Law's back garden. They were all destined for the tip but hubby had enough foresight to salvage them. One of the items in this pile was an old metal toolkit tin which had a fabulous patina, brought to life with a few coats of clear lacquer. Now successfully rescued, the tin had a look of a well loved travel paint box about it so I decided to add the 'paints', art tools and a freshly completed dreamy Tuscany landscape inside a vignette tray. Time to share how this came together. I added a single drop of Distress Oxide Reinker to water to create a watercolour 'paint'. The hills of Tuscany are a patchwork of vineyards and farmland so these were represented by the patchwork of ephemera on some papers from the Memoranda collection. I painted stripes of Faded Jeans, Worn Lipstick, Fossilized Amber and Iced Spruce across a piece of paper cut to fit inside one of the vignette trays, blending them together with more water. The same process was used on more pieces of Memoranda paper, this time blending dilute Broken China, Peeled Paint, Cracked Pistachio and Fossilized Amber over them to represent more fields. These layers were left to air dry before being cut into shape and edged with Vintage Photo Distress Oxide Ink. To create the typical warm Tuscany villas I blended Fossilized Amber and Spiced Marmalade Distress Oxide Ink over more paper, cutting out the buildings and roof tops with the Cityscapes, Suburbia dies. No other tree epitomises the Tuscan landscape like the Italian Cypress so they were an essential addition, cut using a Suburbia die from paper blended with Cracked Pistachio and Vintage Photo Distress Oxide Ink. The 'paint palette' was created on a piece of watercolour card, later stamped with images and coloured with Old Paper Distress Stain Spray. I mixed a drop of each Distress Oxide Reinker previously used on the landscape with transparent paste and applied it to the palette. The various 'tools' were also coloured with a mix of Distress Oxide Inks and Alcohol Inks to age them. Finally I altered the vignette tray with Ground Espresso and Tarnished Brass Distress Paints and Rust Alcohol Ink before adding the various painted paper layers to build up the Tuscany landscape. I hope you enjoyed seeing the transformation of this old rusty tin. 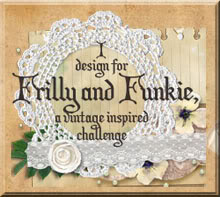 That's it from me for the current Frilly and Funkie challenge "Somthing Old". 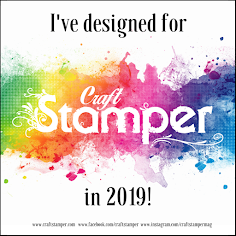 Do make sure you hop on over to see how my talented team mates from both the Frilly and Funkie sides of the Design Team have incorporated something old into their creations. And remember to link your own shabby chic or vintage projects to be in with a chance of winning. What a wonderful find and your treatment of the box is simply fantastic. I love the paint "palette" with all the artist's tools and the scene on the right is making me want to pack my bags and hop a plane for Tuscany. You have outdone yourself with this project. I love it!!! Bravo to your hubby for rescuing this, and you for your creative vision. Brilliant. I saw this on FB and had to come over to find out more about it! Fabulous! Thanks so much for the clear instructions and step-out photos. This might be my most favorite project ever. I love that gorgeous rusty tin and the wonderful Tuscan landscape you created from papers. The color palette is so perfect! And how clever are you to create "wet" paint? This whole piece is creative and imaginative and oh, so beautiful! That is so cool! Well done hubby!!! Love how you altered this wonderful salvaged case! Beautiful design! Such a great transformation and an original project! I love the rusty look and the contrast with the landscape. So incredible & love the tutorial. You are so dang inspiring!! Jenny this is the most wonderful projects I have ever seen. I really fell head over heals with your Tuscan landscape. I really would like to try something like that in my art journal. Not only are you clever, you are extremely talented and I love this project!! Hi, I was wondering if it is ok to share this project that you have design on my Pinterest account and I will decaded to you for coming up with the ideal of this projects. If you said no. Then I wil understand. WOW! Genius idea, brilliant execution - an absolute 'knockout' piece of art Jenny. Amazing. Jaw-droppingly so... Your Tuscan hillside makes me long to escape there again, and I'm fascinated to see the Oxide refills in action. So cool to see how thick they are on your paint palette, as well as the lovely soft effects on the papers. A really wonderful way to bring that old tin back to life. I'm very jealous of your artist having such a lovely paintbox! Amazing!!! Luv, luv the use of the old tin... my heart skips a beat when old junkie things get used.